Tea Drunk in a unique space, and with that comes a lot of questions about what we do, who we are and what our tea is. 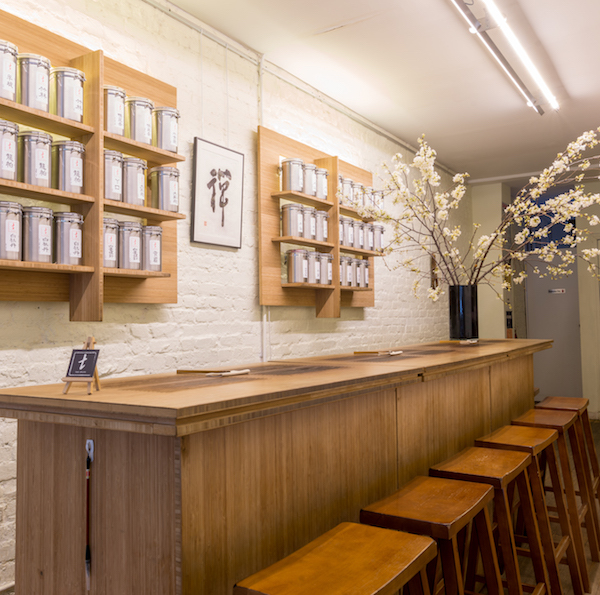 We've outlined some of our most frequently asked questions here to help you understand who we are as a brand - from our NYC teahouse, to our loose leaf tea, to our online store. If you have any other questions that you can't answer here, you can always call us at 917-573-9963 or email us at hello@tea-drunk.com. For parties over four people, a minimum of $15/person expenditure is required. If you want to make a reservation for more than 8 people, a private event fee of $400/hour minimum would apply. Tea Drunk also offers service for close-down events, for which a private event fee of $600/hour would apply. 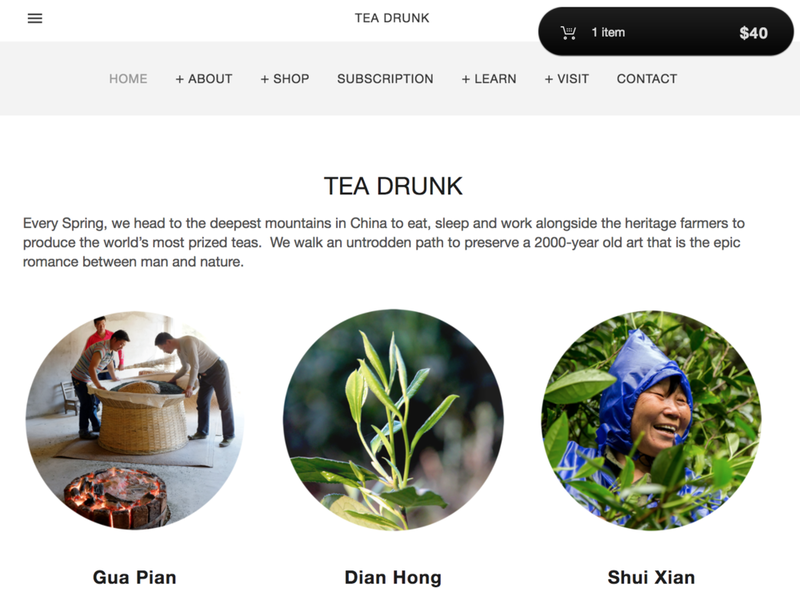 Tea Drunk offers off-site service or white label service for $400/hour minimum. How does your tea service work? We mainly serve tea in two ways: individual paos or a tasting. An individual pao is one serving of tea, but comes with enough tea to share if so desired. In China people usually drink one tea at a time so even if people order two teas usually one tea is shared at a time. A tasting from our menu comes with three different teas, and can also be shared. For reference, a tasting comes with three times the amount of tea as one pao. How much tea is one pao/serving? Depends on the tea, it’s 20-30 ounce of liquid. How long does tea service take? Usually we suggest having at least a half hour to enjoy one pao of tea. How long does a tea tasting take? Usually we suggest having at least 45 minutes to enjoy a tea tasting among friends. How many teas do I get in a tasting? You will be able to taste three different teas. No, we do not have wifi access for customers. Yes, our bathroom is available for customers only. Do you have food/snacks on the menu? No, we do not have food for sale in the teahouse, nor do we allow outside food brought in. What comes with the price on the menu? The price is for one pao of tea. One pao of tea will come up with three or four rounds of brewing in the glass fairness cup. Why don’t we drink the first gai wan brew of tea? Isn’t that wasteful? The first brew of tea is used to wake up the loose leaf tea leaves and is shared with the tea pet. It’s not that the tea tastes bad in this first brew, but it is mostly aroma and does not have the depth that the taste of the tea is meant to have. What’s the deal with the tea pets? Most tea pets are made of purple clay, which can develop a patina shine from the tea oil. It’s a sentimental drinking buddy and collectible item. The tea pets in our shop are mostly owned by our customers, who want to share the joy of their tea pet and allow more tea to be shared with it than they would at home. Will I really get drunk? In Chinese, ‘drunk’ is a romantic expression used to describe one’s indulgence in true passion. We feel this way about tea, hence the name of our shop. But, consuming a large amount of tea can create a fuzzy feeling of euphoria and relaxation. Why are your teas priced so high? All of our teas are true origin teas, coming from famous historic regions, harvested from old varietals of tea trees and crafted by heritage farmers in the utmost conservative fashion. We have exclusive rights to a lot of rare batches that represent the pinnacle of tea. These are the grand cru wine equivalents of tea. For teas of this caliber, you will actually find our price very competitive even compared in China! We are known for having a very in-depth menu, our customer and staff’s favorite teas range massively, there is no single tea we are most known for. For us, it all depends on the day, our mood and many other factors to decide a favorite tea for each moment. So feel free to ask what’s good for today! What amounts of tea can I buy loose leaf tea in? You can buy loose leaf tea to brew yourself at home in a sample size or ounce. The number of grams will depend on the type of tea. An ounce is 28g, but we will always make sure that your ounce size is divisible to give you even paos. Yes we can, but there are additional international shipping fees. All of our loose leaf tea come from mainland China. They are all true origin historical teas, grown in famous places, harvested from old varietals of tea trees and crafted by heritage farmers in the utmost conservative fashion. We do not sell novelty teas nor herbal or flavored teas. Are your teas certified organic? Although our loose leaf teas are not “certified organic,” they are cared for in a way that is actually more natural than what the certified organic tea’s requirements are. Tea Drunk only works with farmers who want the tea to have the best possible taste, so there is no additives that might affect the taste included. Additionally, all of our teas are produced in the most traditional fashion, and tea trees are evergreen that live for a long time! As age of tea tree plays a valuable part is tea’s taste, most of our teas are actually harvested from tea trees planted by generations before us, before machinery and modern agriculture, in deep mountains among a diverse vegetation. We use USPS to ship all of our loose leaf tea. We usually ship order within one or two business days. You are given a choice of how you would like your package shipped, so shipping time may vary. If you choose Priority Mail, it will be shipped to you in 1-3 days. Are there any additives in your teas? No. All of our teas are natural loose leaf teas. We don’t have any artificial ingredients in our tea. The dynamic flavor profile in our teas are through age-perfected crafting utilizing heat and moisture to work with tea’s natural enzymes and rich compounds. Can I get some sugar? Milk? Honey? Lemon? No, no, no. We only serve loose leaf tea, nothing herbal or flavored. We are a traditional Chinese teahouse and things like sugar, milk, honey or lemon are not traditional in our culture (not that we don’t like them for what they are), so we do not provide them.